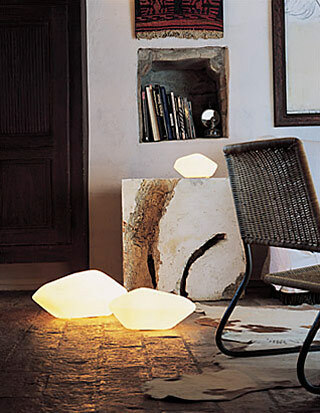 Luminous stones to be placed on a surface or even on the floor, to be left on their own or combined together in groups. The translation into Murano blown glass of a symbol of the oriental world. The most artificial objects obtained in the most natural shape.